I am very satisfied with the level of service and the quality of the product that I received from imSMB. They personally consulted me on the needs of our website and provided the best solutions. The service was prompt and done correctly the first time around. Even now that the work has been completed, imSMB is still as accessible as they were during the update of our site. They have also been helpful in answering all my questions as I learn to operate the new functions. I would (and have already) recommend them to anyone. After trying many designers and waiting days for a response, I contacted imSMB. I received an immediate response. imSMB has done a terrific job. We love our website. imSMB was not satisfied until we were. They always kept us informed of progress on the site and has done a great job in working with us to establish an identity. If you’re looking for a professional site and equal service, imSMB is definitely the way to go. We look forward to working with imSMB on future projects. 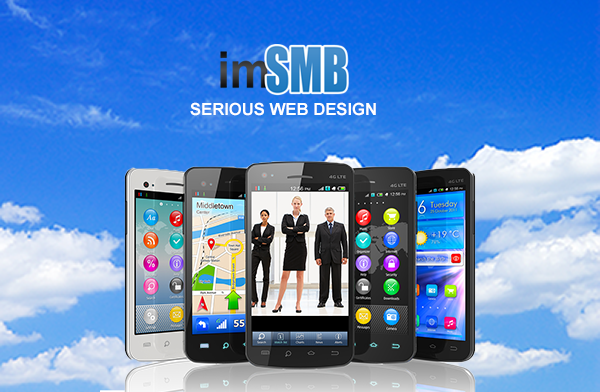 imSMB, promises to be a company’s business partner, not just web designer. And they are. Mark spent the time to get to know us, our message and our product while designing our website thereby insuring it supported our brand and company image. They are timely, extremely service oriented and talented. We are thrilled with the finished product! imSMB promises a lot and delivers much more. With over 5 urls, he will always have our business. I just wanted to say thanks for making me such an awesome web site. I described the look and feel of the website that I wanted and the team at imSMB pulled it off! The most impressive part of this company is the customer service. E-mails are returned lightning fast and they are to the point with a lot of great ideas and input towards pulling everything together. The website editor is a great addition and is very easy to use and navigate through. I am very happy with the overall experience and would recommend imSMB to anyone ready to take their company to the next level. We’re serious about websites and marketing. Our mindset is that we’re here to provide one thing. That’s success for your business on the Internet. To us, that means creating a unique website that sets you apart from your competitors, helping you find prospects through the web, and creating conversions of those prospects into clients and purchasers. We’re here to provide answers and solutions for your business success online. Creating a website is more than just adding a design. You need to have advertising, lead generation, and conversion for your website as well. That’s what we do. 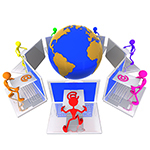 So if you’re looking for complete business web services you’ve come to the right place. Unlike some web design companies in San Diego, we help businesses at all stages, so whether your business is brand new and on a limited budget, or you are an established brand we can help you. We consistently receive feedback from clients stating that they get quotes from design companies that are all over the place. They wonder why they receive quotes that are across the board. The reality is a website doesn’t have to be expensive and complicated. 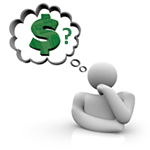 You don’t have to have a huge budget to be on the web. There are a large number of website design companies in San Diego that offer exorbitant website services for businesses but the truth is your website doesn’t have to break the bank. Whether you are an established business or one that is just starting up, there are plenty of ways to get a website designed that fits your particular budget and needs. Many companies will just give a ballpark figure and hope you accept. We don’t do that. We discuss your needs in depth and quote you based specifically on what it takes to do the work. We also explain what is involved. By the time we’re done discussing your needs you’ll have more knowledge and a good understanding of all aspects of what should go into your online business. A bit of information is all it takes for any company, restaurant, cpa, consultant, attorney, or any other business to have its own website. No matter how simple (or complex) you want your site to be, we will give you the opportunity to be visible on the web. Your business will also be provided with options for the exposure and promotion it deserves to get in front of potential customers and clients. We’re serious about web design and online marketing. With our creativity and experience and you will be well on your way to developing a website that delivers positive results for your business. This is exactly what imSMB does. We create only top quality websites. Since 2008 all websites are created to be responsive. That means they adjust to look great on all the mobile devices as well as your desktop or laptop. You can see our Web Design Samples on our site here. They are only a small part of over 8,000 websites we’ve designed since 2003. We’ve done web design just about every industry you can imagine and it’s web design San Diego loves. A quality website also requires a little effort on your part. You will need to provide us with information and content for website. We will have discussions about the features and benefits your business provides so we can best present the advantages you have over your competitors. It is not important that you know what you want or have all your material ready right away. The process of creating a website involves creativity, uniqueness, and review. The website design will need to suit the nature of your business to draw people’s attention. That’s why being unique is important. That is why we go back and forth with you unlimited times. That makes sure you get the exact look and feel you want. The process goes in the following order. 1. You advise us general colors, etc you want to use on your site (or leave it to us… either way), 2. We start to create “Mock Ups” for you and you get an idea of what the site will look like, 3. We adjust to your satisfaction, 4. We publish your website and start to market it. That’s the general web design process. This is the next step in your online presence. First is to create the website prospective customers can go to. Second is to market it. A website without marketing and advertising is next to useless. Yes, it can still be used for a business image and some businesses only require that but if you’re serious about increasing revenues you must market and advertise. The great thing about that is that online advertising works. It allows us to send highly “targeted” visitors or prospects to your website rather than doing a blanket cast of the net over everyone like you had to in “the old days”. So when we advertise your site, you’re sure to get qualified prospects knocking on your door. But it’s not over there. When someone knocks, you have to answer. And if you’re not there you need to have processes in place to ensure they still give you a chance to reach them later. That’s where website conversion comes in. Use of online forms, purchasing of goods, generation of leads… techniques to get prospects to do what you want on the website. That’s conversion. We do that for you too. Here’s a quick case study for you. A business broker came to us to create a website because he wasn’t getting any leads from his referring partner. Turns out the partner was taking them all. We created a website for him and marketed it. The first year gross for his business did over $300,000.00. This is one small example of how our advertising services can benefit you. As with every website we build we drive home the point of conversion. We strive to have people to interact with your website and we want you to do the same with ours. So don’t wait. The longer you wait, the more time it takes to achieve the success you want on the Internet. Call us or fill out one of our forms today and start on the path success for your business. You’ll be glad you did.